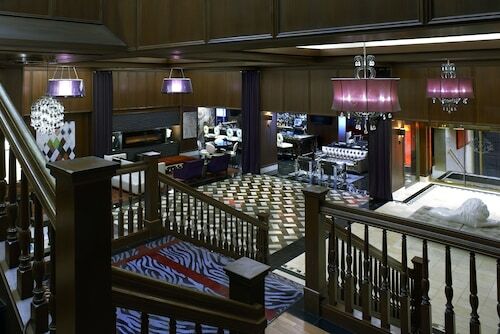 The Grand Hotel Minneapolis is located in the city center and is connected by enclosed skyway to the convention center. Entertainment venues, shops, and restaurants, are all within 8 blocks. 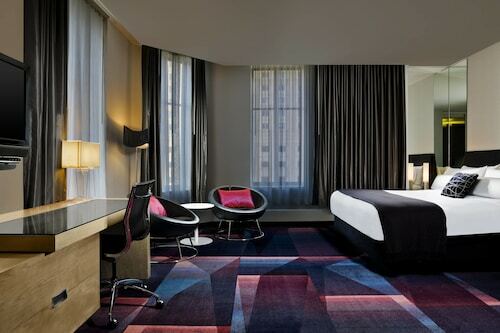 Located in Downtown Minneapolis, this boutique hotel is steps from Orpheum Theatre, Nicollet Mall, and State Theatre. Target Center and Skyway Theatre are also within 10 minutes. Warehouse - Hennepin Station is 7 minutes by foot and Nicollet Mall Station is 9 minutes. 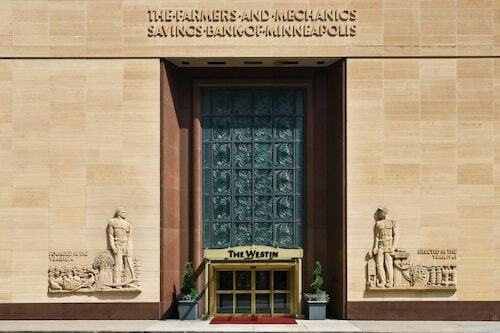 Situated in Minneapolis, this historic property is 0.4 mi (0.6 km) from Chain of Lakes and within 3 mi (5 km) of Minneapolis Convention Center and Target Center. Walker Art Center and Minneapolis Institute of Arts are also within 3 mi (5 km). Rising 31 stories in downtown Minneapolis, this hotel is across the street from Macy's and 1 block from Gavidae Commons, a half-block from the Nicollet Mall, and adjacent to City Center Shops. 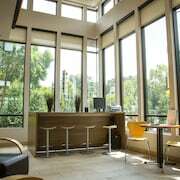 Located in Downtown Minneapolis, this aparthotel is steps from Nicollet Mall, State Theatre, and Skyway Theatre. Target Center and Orpheum Theatre are also within 10 minutes. Nicollet Mall Station is 7 minutes by foot and Warehouse - Hennepin Station is 7 minutes. 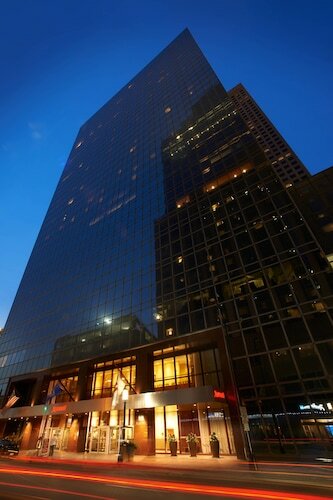 Located within the IDS Center, this 19-story hotel is adjacent to Nicollet Mall, 3 blocks from Target Field Stadium and Target Center, and 6 blocks from the convention center. 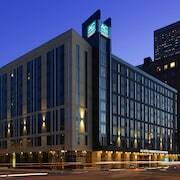 Located in Downtown Minneapolis, this luxury hotel is within a 10-minute walk of Nicollet Mall, Minneapolis Convention Center, and Target Center. Orpheum Theatre and State Theatre are also within 10 minutes. Nicollet Mall Station is 7 minutes by foot and Warehouse - Hennepin Station is 10 minutes. It’s that time of the year—the mountains are calling and you are ready to hit the slopes. There’s no better place than ski hotels in Minneapolis. With access to various places to ski, from bunny hills for the newbies to black diamonds for the experts, Minneapolis ski resorts are your best bet to enjoy some wintry fun. If you're a beginner skier and want to start with a few trips down the bunny slopes, see if your Minneapolis ski hotel or the nearby facilities offer lessons.If you're a veteran on the slopes, take the chair lift up to the top of the mountain and take in the views as you slalom down the fresh snow. After a full day on the slopes, retreat to your Minneapolis ski resort to warm up. 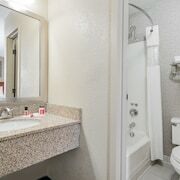 Take a dip in the Jacuzzi on property, drink some cocktails at the lobby bar to warm you up or get cozy in your hotel room and order room service. Travelocity is here to help you find the best deals on Minneapolis ski hotels and resorts, so you can hit the ski lift without breaking the bank! Book today and Wander Wisely. GOODS 1. How the amenities are layed out & displayed, i.e. Front Room Bar & menu, Manny’s Restaurant, amoung the best, if not ‘THE’ best in the twin cities, the Lobby bar & lounge, The Museum & look out on the 30th floor and finally the prohibition bar & lounge on the 27th floor. 2. The many happy, helpful, smiling employee faces. 3. The Wheels ‘employees’ at the front door providing a quick ride to the Dakota Club, especially during inclement weather (Sat. 3/9/19) NOT SO Good: Could have used an extra blanket! 1 month ago by A verified traveler from Victoria MN. Very comfy beds and clean rooms. Check in was fast and easy. Love that it is attached to the Skyway. I like that you don’t have to go outside in February. Parking situation - even for Valet was really difficult. All the one way streets around the hotel are tough. The GPS could not locate the property. Google Maps. Might need to work with them to fix an obvious problem. Took 25 minutes to find the property.